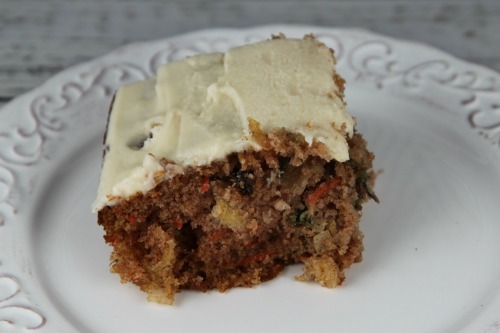 When’s the last time you had carrot cake? Has it been a while? If so, I have just the recipe for you! 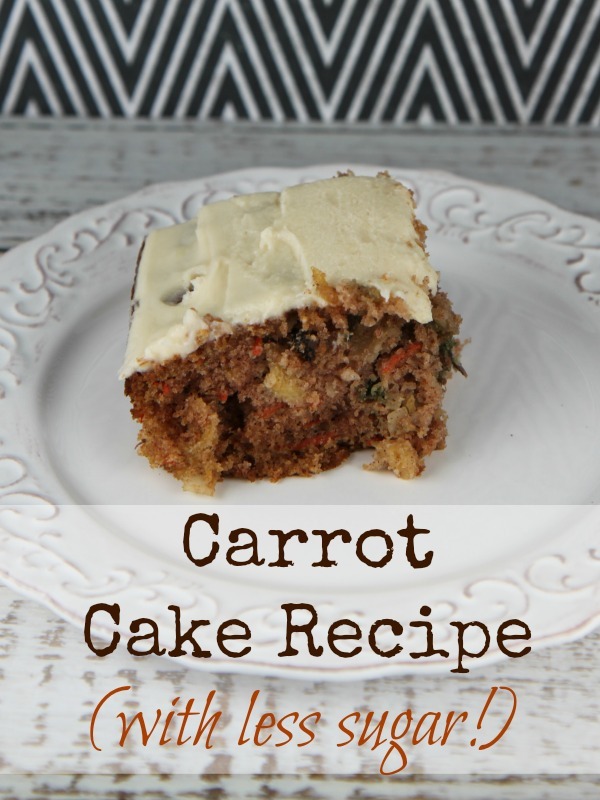 Not only is this recipe for carrot cake completely soft, moist and delicious, but it’s also a great way to sneak a few extra veggies in your kids’ diets or to simply try something new. Not that there is anything wrong with traditional chocolate or vanilla cake, of course. Trust me, I love those too! But when I’m looking for dessert ideas that are a little bit out of the ordinary without being too entirely weird this recipe for carrot cake is a great one! This recipe for carrot cake contains all of the normal cake ingredients that every good baker should have on hand already, but with a few extra add-ins that make this carrot cake recipe over-the-moon delicious: cinnamon, crushed pineapple, coconut flakes and walnuts. Yum! Another great thing that I love about this cake is that it contains less sugar than other cake mixes without sacrificing any of the great flavor. This carrot cake recipe uses one cup of Splenda instead. Of course, if you aren’t a big fan of Splenda or if you don’t have any on hand, you can always just use regular sugar instead. It’s up to you! Next time you have a birthday, graduation or get-together, why not skip the usual dessert ideas for one that is sure to stand out in your guests’ minds in a good way. 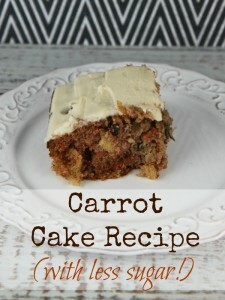 This carrot cake recipe is perfect for the job! Combine flour, baking powder, baking soda, salt, and cinnamon in a small mixing bowl. Set aside. Beat eggs, vegetable oil, annnd SPLENDA Sugar Blend at a medium speed with an electric mixer until batter is smooth. Add flour mixture until blended. Gently fold in carrots, pineapple, walnuts, and coconut. Pour batter into (2) greased round pans or (1) greased 9" x 11" baking dish. Bake for 35 - 40 minutes at 325 degrees or until toothpick inserted into center comes out clean. Cool for 10 minutes. Remove from pans and let cool completely. In your stand mixer or with an electric mixer, beat together the butter and cream cheese until smooth. Add the powdered sugar one cup at a time until smooth and creamy. Add in vanilla extract.